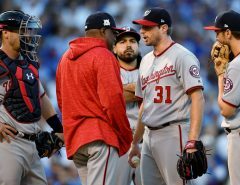 On Saturday, it was announced that Joe Ross, who left his last start after 3.1 innings due to an injury, would have season-ending Tommy John surgery to fix the tear in the ulnar collateral ligament of his right elbow. Ross had been experiencing some declining velocity in his pitches through his starts all season, so an arm injury isn’t all that surprising. But this sudden surgery will end his season and likely set him back for most of 2018 with no current timetable for return. 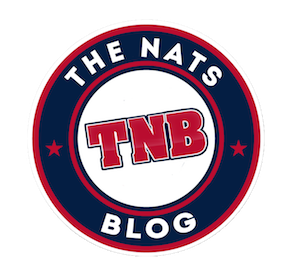 This puts a pin into an up-and-down season for Ross, puts the Nationals down a fifth starter, and adds another item to their midseason wish list. Ross’s 2017 was anything but consistent, though he looked to be trending upwards in the days leading up to his arm injury. In his season debut on April 19 in Atlanta, he went 7 innings, giving up 6 hits and 3 runs while striking out 7. But in his next two starts he failed to go five innings, and his ERA climbed to 7.47. Ross fluctuated between good and bad in the rest of his starts, slowly becoming more consistent. Ross’s final numbers included a 5.01 ERA, a 5-3 record in 13 games, a 1.47 WHIP, and 68 strikeouts in 73.2 innings, but they don’t tell the whole story. It was really a tale of two seasons for Joe: in losses, Ross had an ERA of 9.00 and a WHIP of 2.46 in 13 innings. But in wins, Ross had an ERA of 1.98 and a WHIP of 0.94 in 36.1 innings. The differences are quite staggering, and maybe with time Ross could have fixed the lows, but unfortunately he won’t get the chance. When Joe was feeling it, he was very, very good. 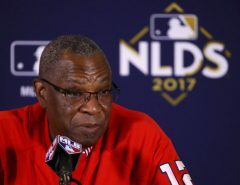 His two best starts of the year, and possibly his life, were May 23 against the Mariners and June 8 against the Orioles. Against the Mariners, Ross went 8 innings, giving up 5 hits and 1 run while striking out 6. Against the Orioles, Ross went 7.1 innings, giving up 4 hits and 1 run while striking out a career-high 12 batters. Joe Ross has never looked more dominant in his career. He spent the rest of the season trying to recapture the form he had in those two starts; he never quite got there, but he certainly recovered from a shaky start to the season. In six games after the Baltimore start, Joe went 4-2 with a 3.79 ERA, a .290 BAA, and 27 strikeouts in 35.2 innings pitched. Not amazing, but serviceable and a big improvement for Ross. Joe Ross storylines this season featured more than just pitching. In one of the wackiest features of the year, Joe Ross found himself with an average of 10.55 runs of support behind him in his starts. For whatever reason, Ross inspired his teammates to score lots of lots of runs. Hopefully they’ll continue to score with such fury after Ross is on the shelf. Additionally, in games when he wasn’t starting, Ross often found himself called upon to pinch-run, or even pinch-hit. He even got a pinch hit one time. Being a gifted young athlete will earn you that honor. I still believe that Joe Ross has a bright future despite this major setback. 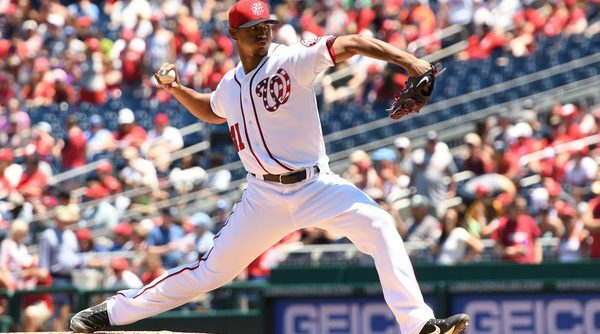 It will take a lot of time and hard work for him to work back to where he was, but a healthy Joe Ross has the potential to be a great pitcher in the big leagues for a long time. Here’s to wishing the best for his health and a speedy recovery, and hopefully we’ll see that smiling face back with us as soon as possible.